The intelligent LED light self watering garden is perfect for busy people. It is great for growing plants indoors because of the intelligent LED light technology. The garden provides 8 hours of white light, 8 hours of grow light and 8 hours in off mode. 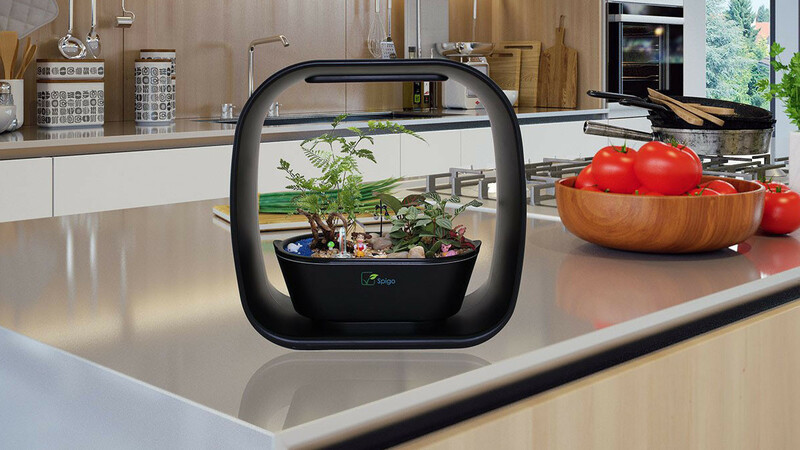 You can use it to grow plants indoors even if they usually only thrive outside. The attatched water reservoir only needs to be refilled once a month. This means that you can leave your plant alone for weeks and it will still be ok. The intelligent garden is self sufficient when it comes to energy. This truly is a garden that will take care of itself.